Recently, we were delighted to launch kits with a lovely hat pattern designed by Stefanie Goodwin-Ritter using our Himalayan Trail Yarn. 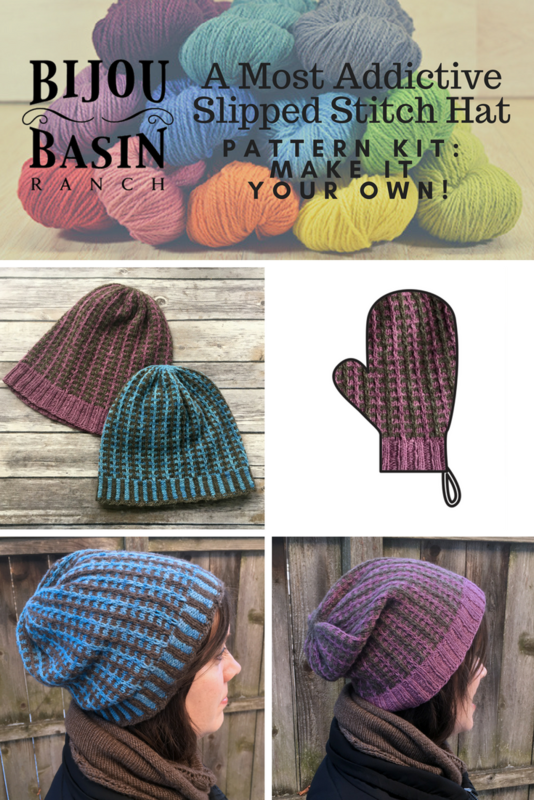 The A Most Addictive Slipped Stitch Hat Kit features a ribbed brim which can be worked in either one or two colors, and then a slipped stitch pattern that is worked in two colors. While we love a good pattern, sometimes we know you want to make a knitting project uniquely yours. What follows are a few ideas on how you might make a few changes to the pattern to make your own one-of-a-kind finished object. Click here to get your project kit! Want to make your hat a little different? The pattern is written for a standard K2/P2 brim in a single color or a corrugated rib in two colors. For those who want level up just a bit more, add a Latvian braid at the bottom or top of your ribbing section (this Latvian Braid tutorial may help you there). You could also add a fun pom-pom using your leftover yarn, or top things off with a fluffy faux-fur pom if you so choose! 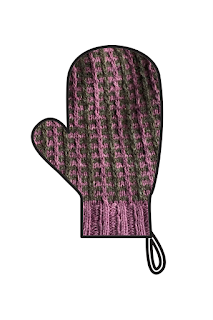 As written, the pattern yields a hat approximately 8.5 inches/21.25 cm tall. 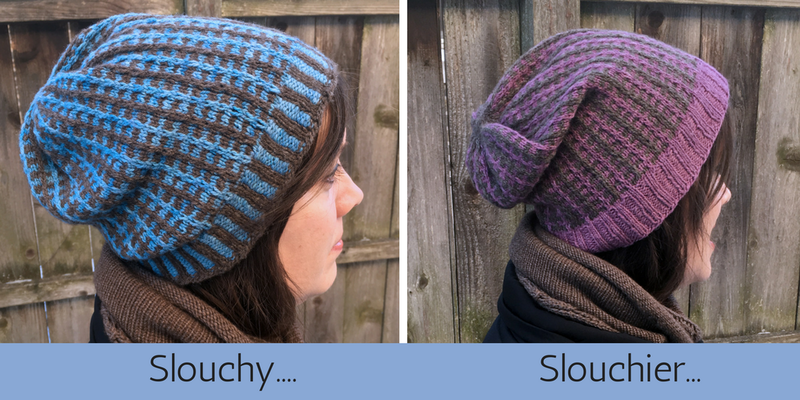 Do you prefer a slouchier hat? Add extra repeats and inches to get where you want to be. Like your hats snug? Omit a few repeats before the crown decreases to make a snug, more beanie-like hat. 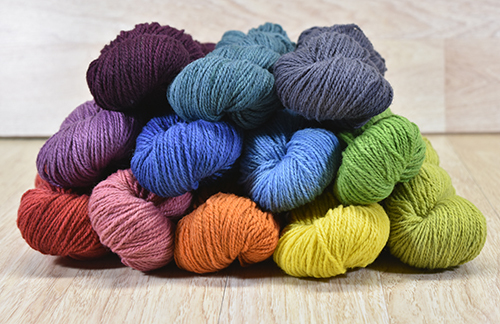 Pick two muted colors for an elegant piece, two bright colors for a more fun statement, or go crazy and pick a variegated colorway and complement it with a solid that makes it pop! 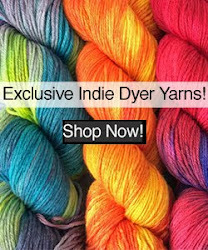 Check out all of our colorways of Himalayan Trail Yarn. Are you looking for something other than a hat? Turn this great pattern into a cozy cowl! If you want your cowl a bit wider than the hat, cast on extra stitches in multiples of 6 and knit as tall as you want, omitting crown instructions - simply finish with your chosen ribbing before binding off! Want to make one of those crazy messy bun hats? Knit the crown decreases through Decrease Round 5 or 6 and then bind off your stitches, leaving a hole at the top with finished edges for your messy bun or ponytail. Or, take the colorwork chart and mash it up with your favorite mitten or fingerless mitt pattern! You can mix and match any of these suggestions to create a project that is uniquely yours - click here to get your A Most Addictive Slipped Stitch Hat Kit. 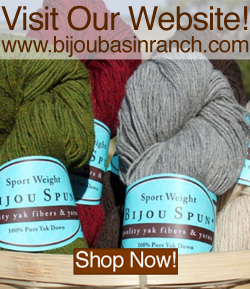 Please share your projects with us on Instagram by tagging them with #bijoubasinranch and follow us at @bijoubasinranch where we post customer projects, new products and other fun ideas.